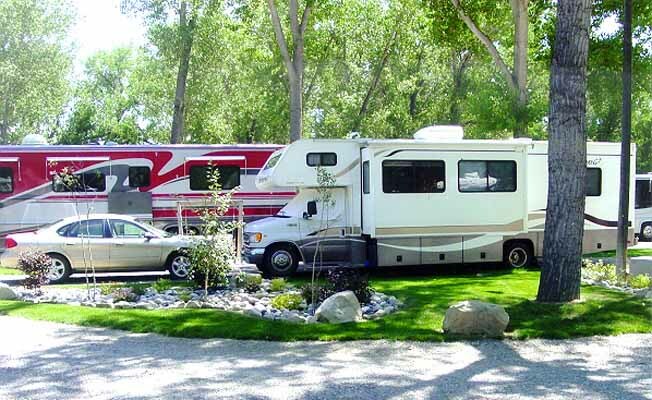 Billings Metro KOA offers 40 tent sites, 135 RV sites, and 11 cabins. Amenities include a swimming pool, spa, barbecue, playground, mini golf, cable TV, and phone hookups available along with broadband wi-fi. Enjoy bike rentals, a basketball court, horseshoes, and a game room. Pancake breakfasts and BBQ dinners are offered mid-June to mid August. We are close to Metra Park and Fairgrounds, hospitals and shopping malls. Local attractions include the Western Heritage Center, Yellowstone Art Center, Peter Yegen Jr. Museum, and the Moss Mansion. Area attractions include the Little Bighorn National Battlefield, Pompeys Pillar National Monument, and Pictograph Caves State Park. Billings Metro KOA is located off Interstate 90 at 27th Street, Exit 450, proceed east 200 yards to Garden Avenue. Turn right and follow KOA signs 3/4 mile.Billings Metro KOA is located off Interstate 90 at 27th Street, Exit 450, proceed east 200 yards to Garden Avenue. Turn right and follow KOA signs 3/4 mile.